Most of us try to pinch pennies whenever possible. But what happens when something is wrong with the HVAC system? If you’re like most homeowners, you’re probably concerned to know the problem because of potentially high costs. 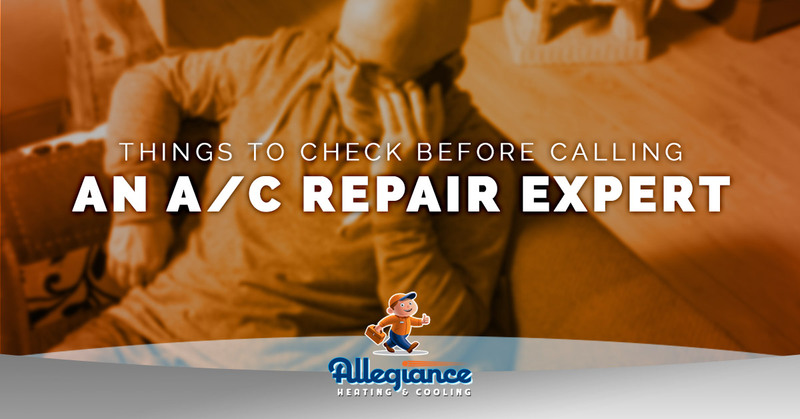 Fortunately, there are some steps you can take that may save you time, money, and the stress of going without A/C for an extended period of time. Keep reading to learn more. See if there is electrical power to the house – This might seem somewhat silly. Believe it or not, though, there are instances every summer where a homeowner calls about their A/C during a neighborhood outage. Before doing anything else, make sure your house still has power. Check the gas meter – Did you recently move into a new home? Remember to contact your local utility provider for gas service. You won’t have much luck with A/C otherwise. Switch the air filter – We’ve mentioned this in previous posts, but it’s certainly worth stating again. The airflow to your HVAC unit is extremely important and must be changed every few months. Keep in mind that the restriction of air from an old filter may cause the unit to malfunction. Not to mention, you’re basically throwing money away when you turn on the air. See if the circuit breaker was tripped – Go ahead and reset the breaker if you notice that the breaker to the unit has been tripped. In some cases, you may need to contact an electrician for a solution. DIY electrical work is typically a no-no, as it can be incredibly dangerous. Look at the safety switch in the pan under the unit – Were you recently moving boxes in and out of the attic? Then there’s a chance you bumped the pan without even knowing it. This switch could be the cause of your A/C dilemma. You could be staring at a huge water mess in your home if you fail to ignore the safety switch. 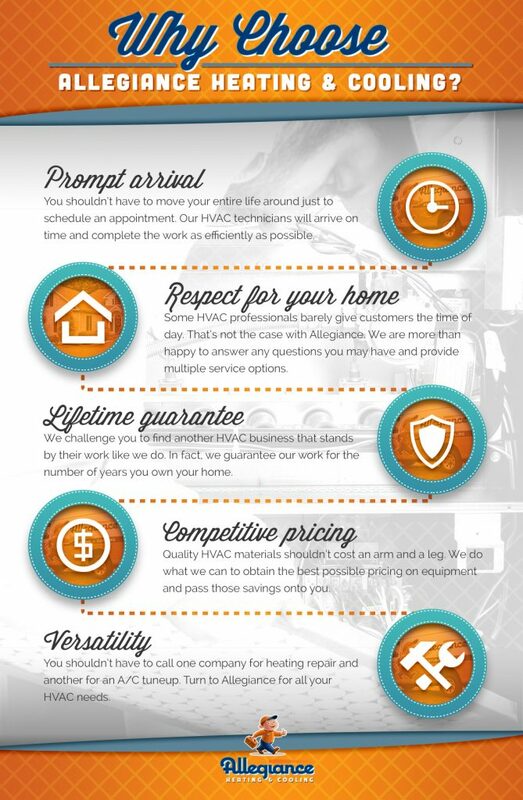 These are just some of the steps to take before contacting an A/C repair professional. We encourage you to check out this article from Angie’s List for additional ones. Even if you consider yourself to be quite handy, there are times when professional air conditioning service is required. This is where Allegiance Heating & Cooling comes into play. For nearly two decades, Mokena residents have relied on us for quality, affordable, and respectful service. At Allegiance, the customer is always our No. 1 priority. We go above and beyond to ensure a pleasant, stress-free experience. For example, you can expect our certified technicians to show up on time, protect your flooring, and treat your entire family with the utmost respect. There are also times when you can’t wait weeks for someone to look at your HVAC unit. For your convenience, our team offers emergency air conditioning service. We will expedite the appointment process and have a technician at your residence as soon as possible. See why so many Mokena residents choose Allegiance as their home comfort partner. Contact us today to schedule air conditioning repair service.